Wildlife Paintings by Janet Heaton - Paintings of Birds and Mammals of Africa and North America. The Realistic Wildlife Art of Wes & Rachelle Siegrist - Specializing in Miniature Wildlife and Landscape Paintings. Wildlife Paintings by Fred Weiser - Capturing the Natural Beauty of Cades Cove in the Smoky Mountains. 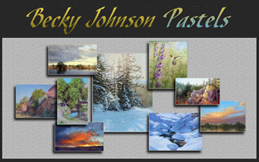 Judy Schrader - Wildlife Paintings - Wildlife Artist - Original oil paintings of wildlife, dogs, cats, horses, farm animals, flowers and landscape paintings. 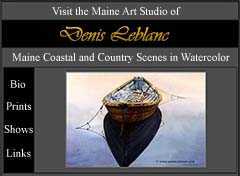 The Studio of Nature Artists - Realistic nature art by two nature and wildlife artists. 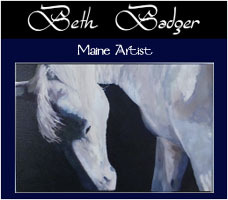 Original paintings of wildlife, dogs, cats, horses, farm animals, flowers and landscape paintings by Marilyn Marsh and Judy Schrader. Lesley Ann Hartman - Arabian horses, Wildlife, Pets and Portraits. Daler- Rowney Demonstrator. Latham Studios, Wildlife Art & Nature Paintings - Realistic wildlife and nature art by the Lathams - a family of award winning painters. 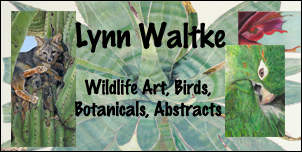 Miniatures, original art, and prints of wildlife and nature subjects by wildlife artists Karen, Rebecca, and Bonnie Latham. Spring Lake Cake - West Michigan custom wedding and special occasion cakes.